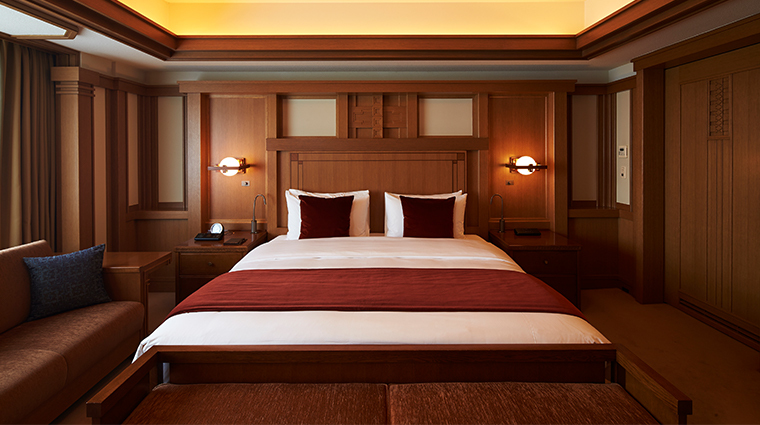 A Japanese institution, Imperial Hotel, Tokyo is as close as it gets to a historic property in a city that constantly reinvents itself, even despite the hotel’s several reincarnations. It was first built in 1890 at the request of the Imperial government to cater to Western visitors. In 1923, a new building designed by Frank Lloyd Wright debuted only to be replaced by the present structure in 1970, to which an additional 31-story tower was added in 1983. 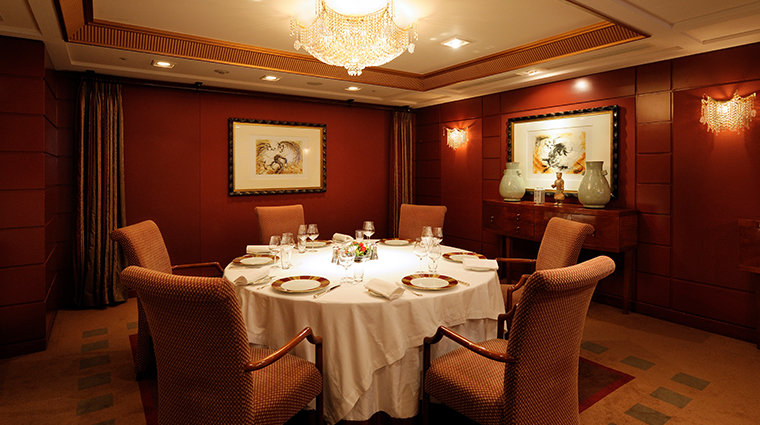 It’s renowned for impeccable service, an outstanding location in the heart of Tokyo and a staggering range of facilities and services. For example, in the busy lobby, knowledgeable staff dispenses helpful information from behind desks with aplomb. 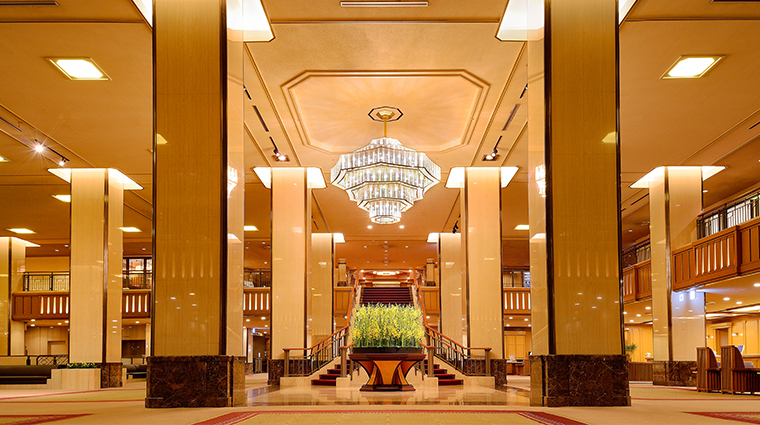 The grand entrance to the Imperial, across the street from the 40-acre, tree-filled Hibiya Park, leads to a spacious two-story marble lobby with hints of Art Deco décor. 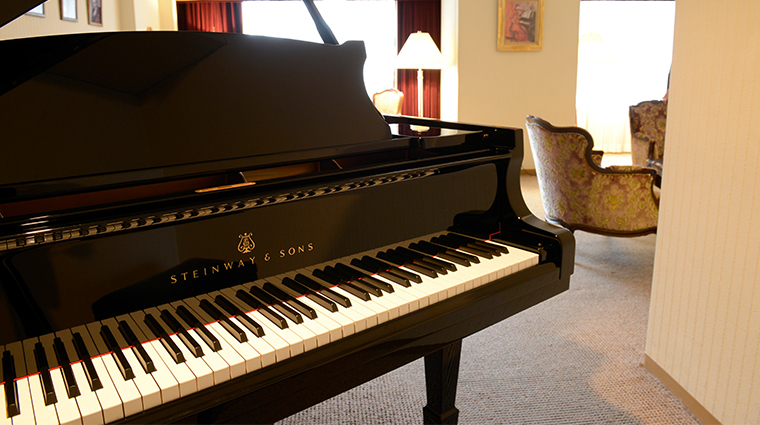 The Imperial boasts one of Tokyo’s largest hotel shopping arcades, several salons providing everything from nail treatments to shiatsu massage, a babysitting room for children, and music room with a grand Steinway piano. 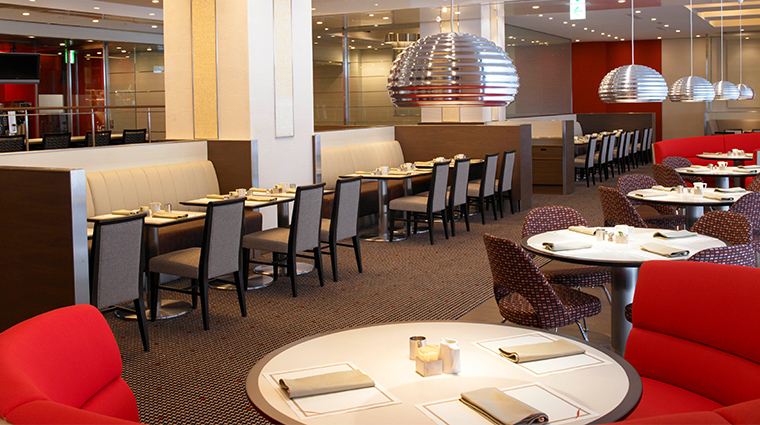 Ginza, with its many boutiques and department stores, is just a short walk away. 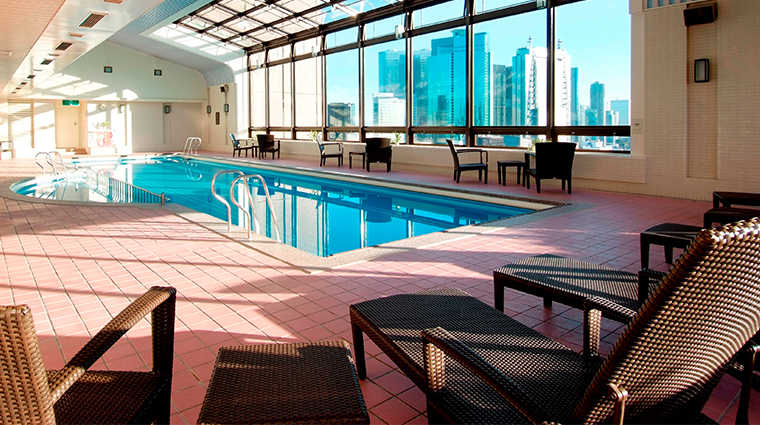 The tower’s 20th floor houses a lap pool, gym and sauna. 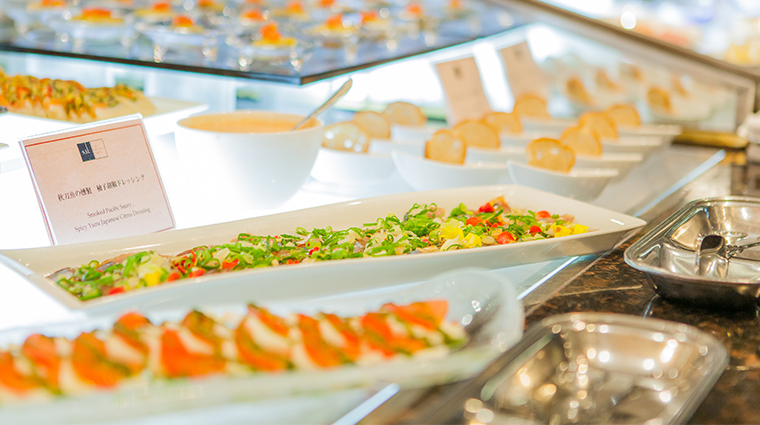 Although business travelers, international tourists and locals taking advantage of the luxury hotel’s many facilities can crowd public spaces, the hotel does a remarkable job attending to the needs of each and every guest. 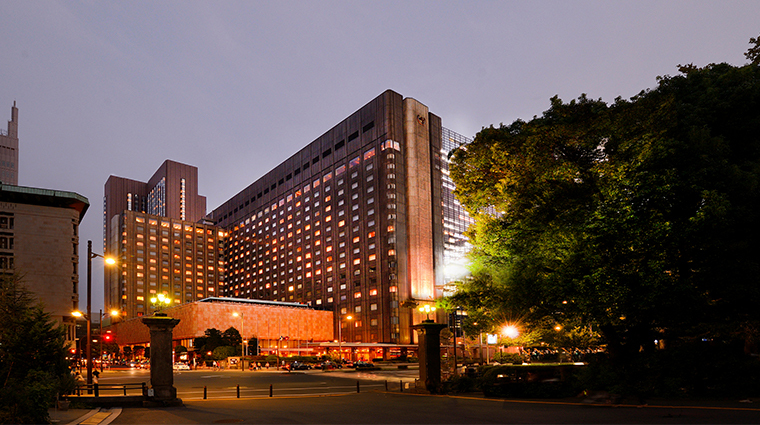 The iconic hotel is credited with introducing many firsts in Japan, including the first hotel wedding and laundry service. Legendary guests have ranged from royalty to celebrities, including Queen Elizabeth II, Joe DiMaggio, Marilyn Monroe and Keanu Reeves. 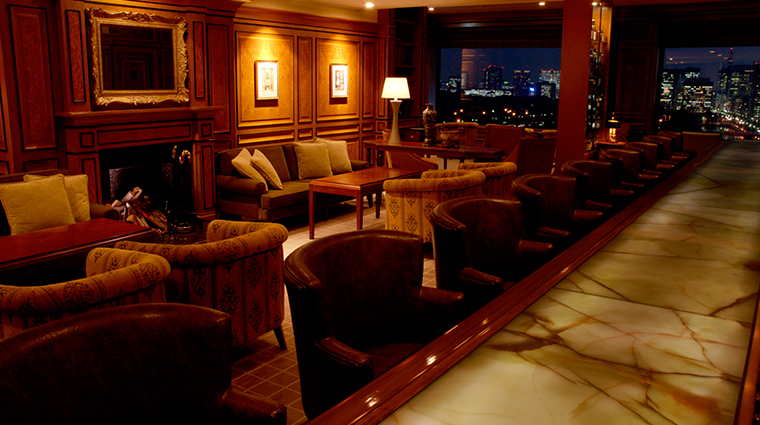 Hotel guests with urgent agenda items can be found in the business center and lounge, one of Tokyo’s largest. 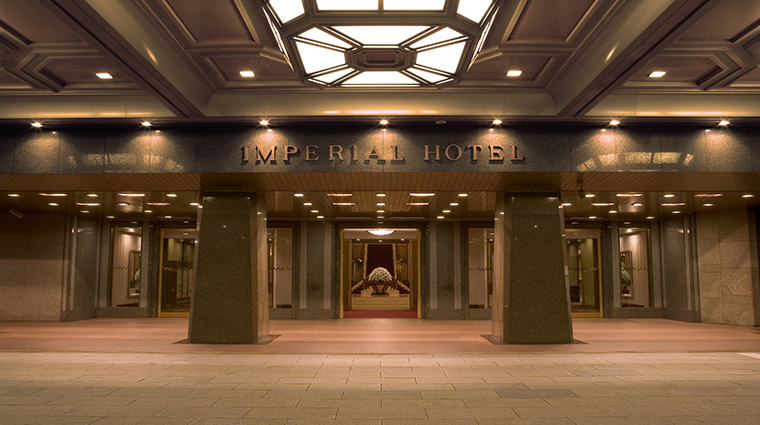 Though fitness center entrance fees are charged (as is customary in Tokyo), complimentary membership in Imperial Club International, Imperial Floor and Premium Tower Floor guests are provided free entry. 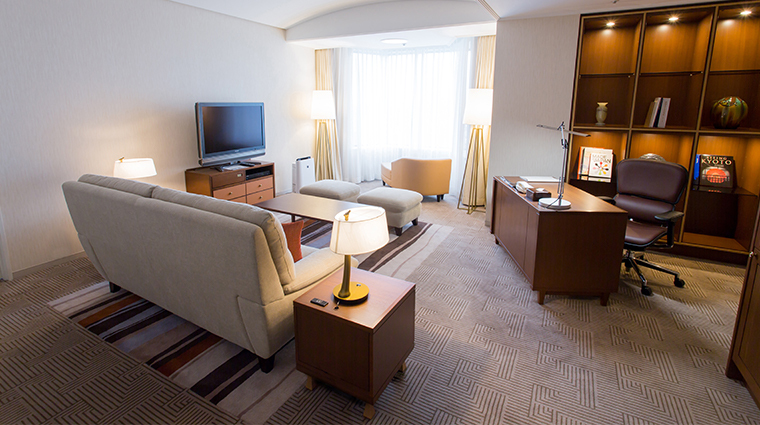 The Imperial’s 931 rooms and suites are spacious and designed for comfort, with contemporary, unfussy furnishings and neutral colors. 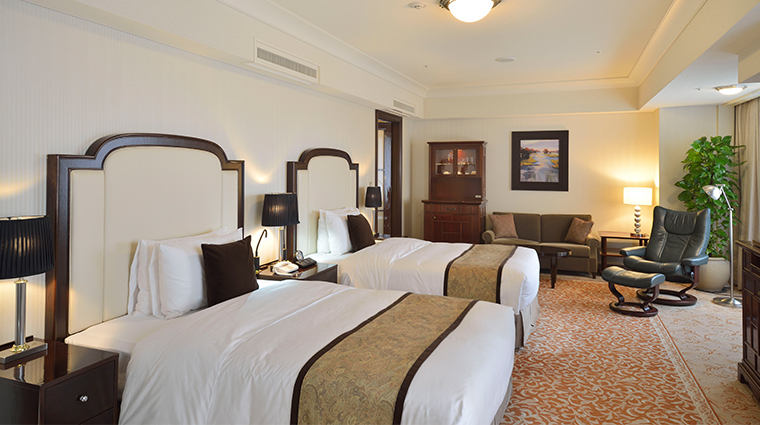 Rooms in the main building start at 344 square feet and run from the 7th to 16th floors. 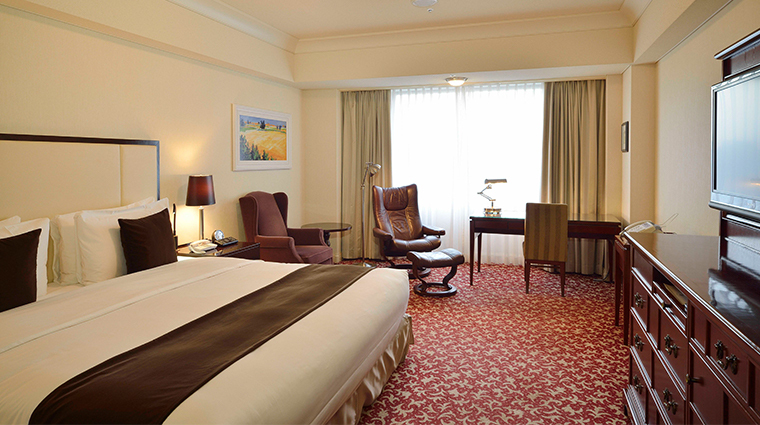 The top three levels comprise the premier Imperial Floors, where rooms are larger and feature Ayura bath amenities and specialty beds. 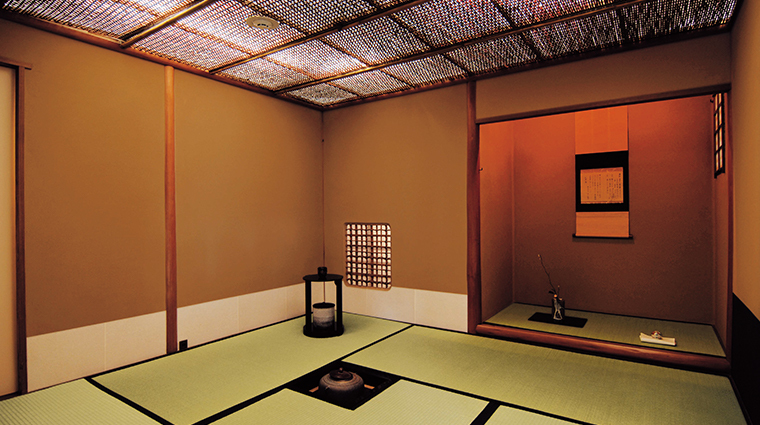 Japanese guests generally prefer main building accommodations due to separate shower and tub facilities that allow bathing in traditional local fashion, while foreigners often opt for the slightly smaller tower rooms because of superior bay window views of the Ginza neighborhood, Hibiya Park and Imperial Palace. 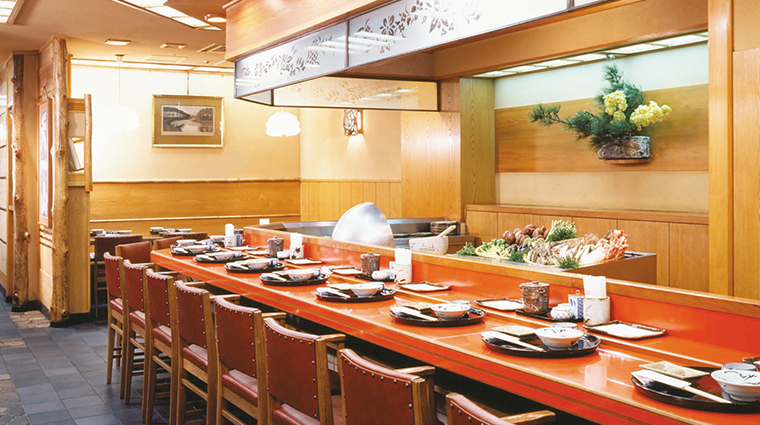 In a country where the national cuisine is on UNESCO’s Intangible Cultural Heritage list, the Imperial’s 17 restaurants and bars meet high expectations. 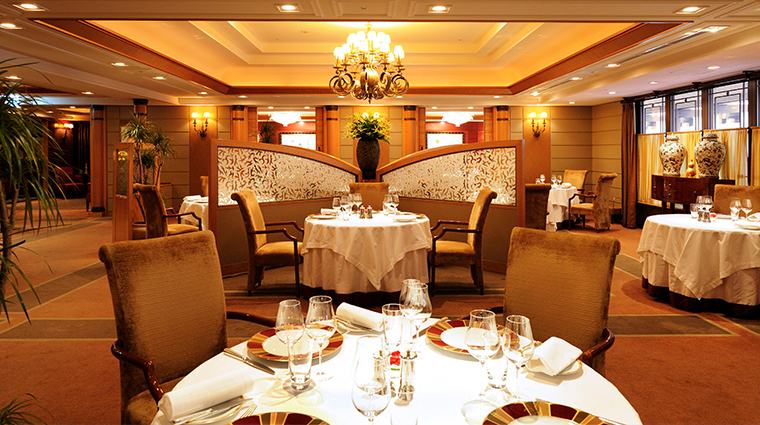 Les Saisons, under the helm of chef Thierry Voisin, is famous for its French classics and truffle pastry. 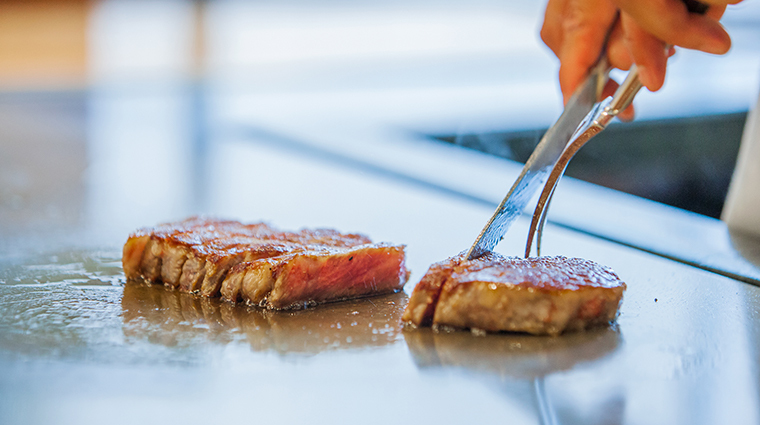 The teppanyaki grill Kamon offers steaks and seafood with city views. 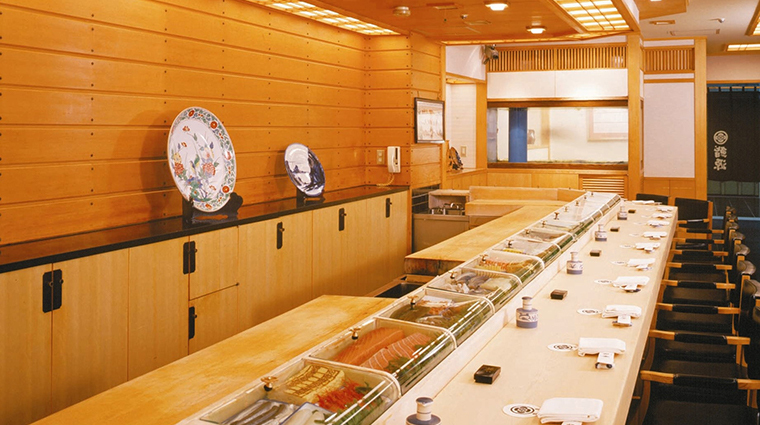 The Imperial Viking Sal, Japan’s first buffet restaurant, remains wildly popular. 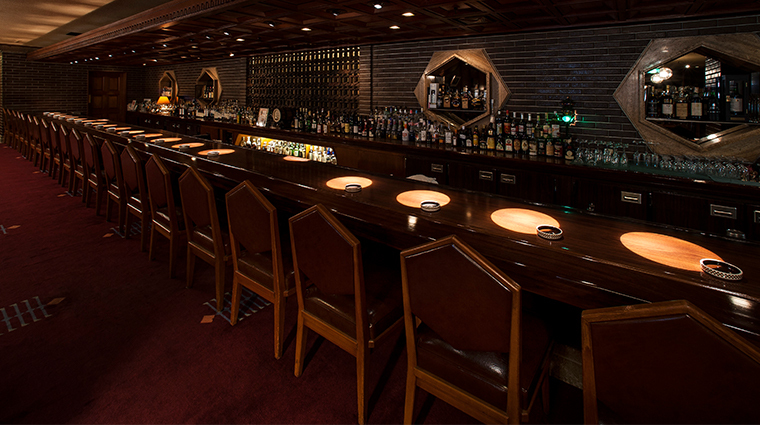 At the equally famous Old Imperial Bar, you’ll enjoy excellent cocktails and impeccable service. Wright’s design legend live on with original and replica décor. 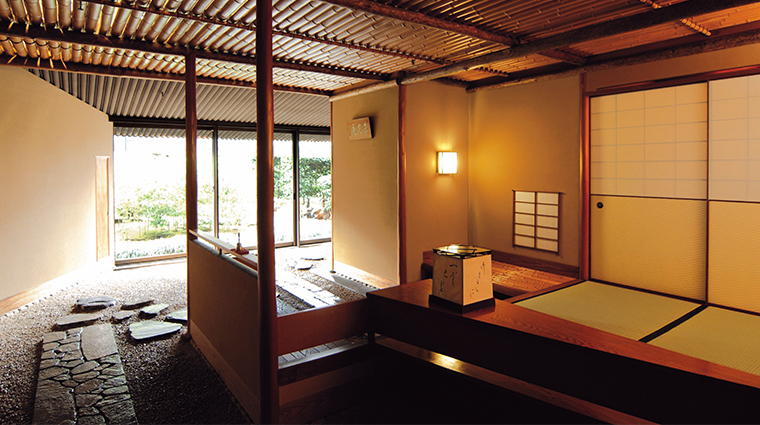 Those seeking peace from the frenetic pace of the city can visit the tea ceremony room, where patrons quietly sit on tatami floor mats and watch as tea is elaborately prepared in the traditional way.